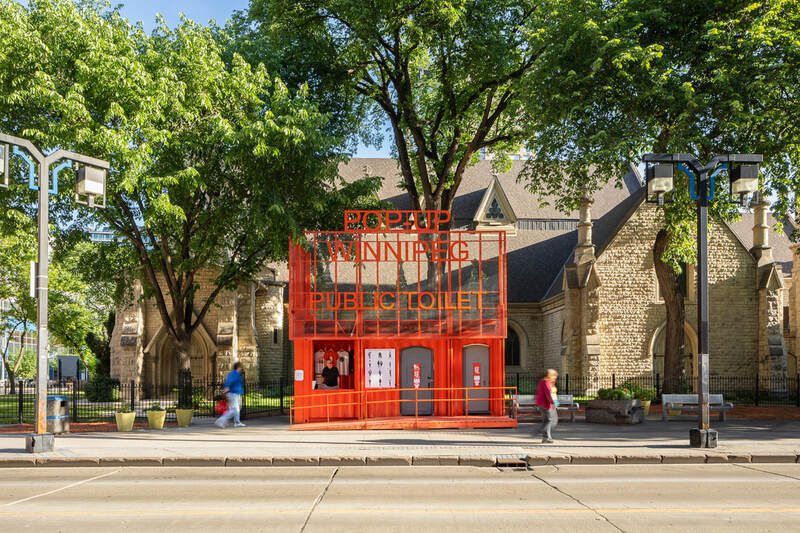 The Pop-Up Winnipeg Public Toilet on the move at night through the city streets, August 2018. 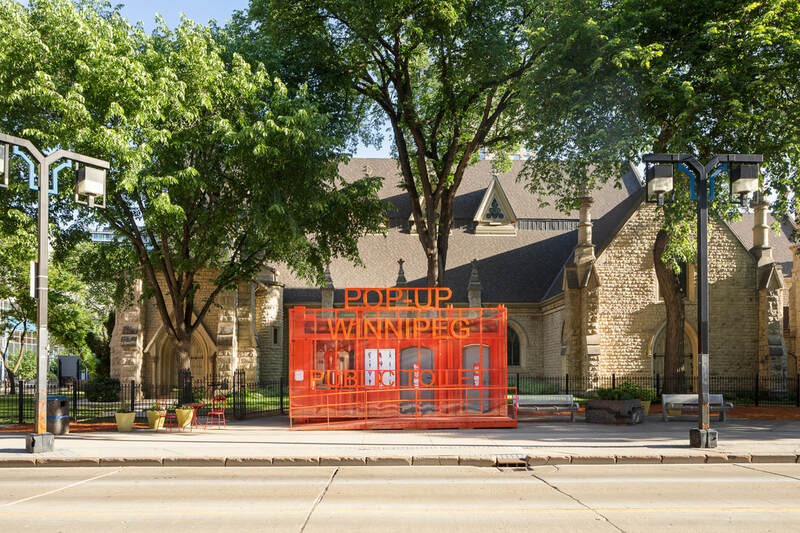 Photos by Keith Funk-Froese. Elderly people, disabled people, people with caregivers, women and children all have their lives limited by the lack of public toilets. 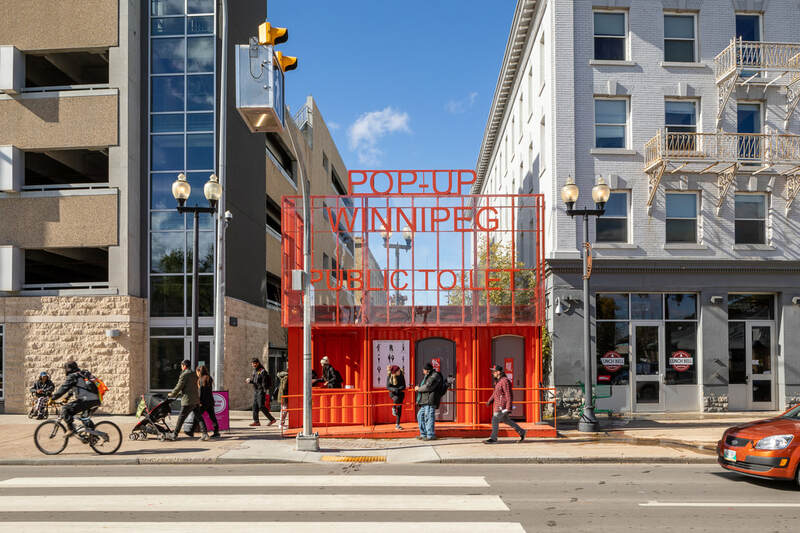 The Pop-Up Public Toilet Initiative is a Downtown Winnipeg BIZ–funded venture answering the need for accessible washrooms in Winnipeg’s downtown core. The initiative aims to lead by example, through providing a clean, secure, well-maintained, and attended public washroom facility. This facility is designed to be temporary. 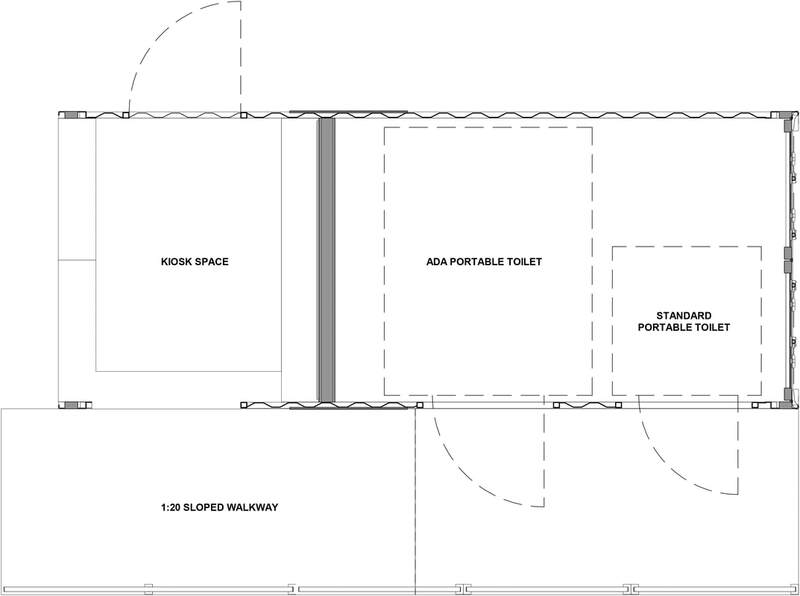 The goal is to encourage publicity for future sponsored permanent toilets, through consciousness-raising, an iterative design process, and general public support. With this partnership, Siloam Mission also helped create more opportunities for those experiencing poverty and homelessness to gain work experience as they work toward progress and transition. The project has received extensive media coverage - see News. 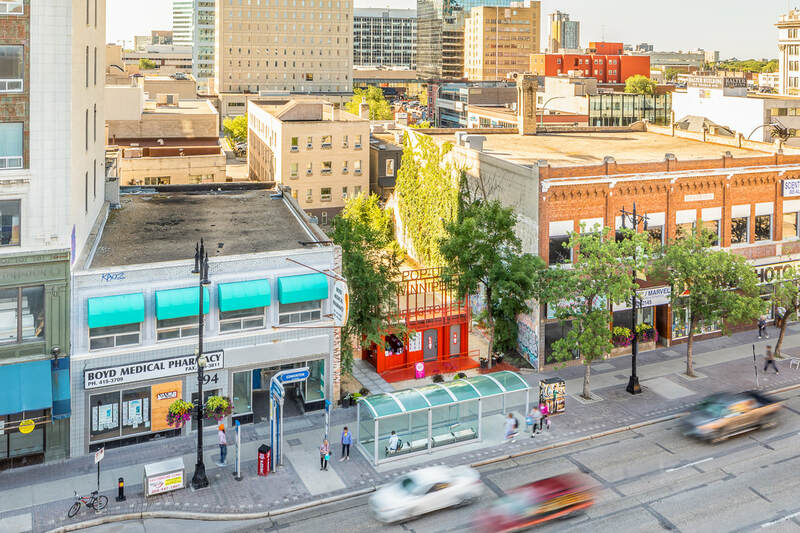 See our article published in Canadian Architect. Read our Plan Canada article.